January 18, 2011 – BMW Motorrad USA reported a nearly 4% growth in sales in 2010, despite a continued double digit downturn in the U.S. motorcycle market. 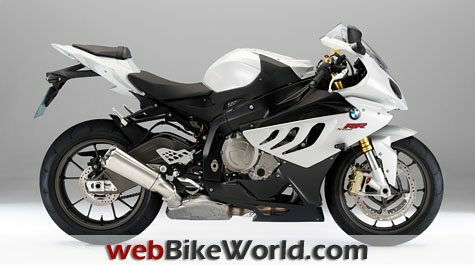 BMW sales were bolstered by the February 2010 launch of the BMW S 1000 RR superbike. Claimed to be the most powerful production 1000cc sport bike in the world, the S 1000 RR quickly surpassed the BMW R 1200 GS to be the best selling bike in BMW’s model lineup for 2010. In its debut year, the BMW S 1000 RR earned numerous awards from the U.S. media, including the Robb Report “Best Sportbike”, Cycle World “Best Superbike for 2010” and the Motorcyclist magazine “Motorcycle of the Year” Award. Other popular core models in BMW’s lineup, including the R 1200 GS, R 1200 GS Adventure, and R 1200 RT, also helped sales with the introduction of a new Boxer engine. BMW executives credited the company’s sales performance to a stable of leading-edge products as well as to a strong dealer network. 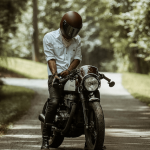 “BMW dealers did a tremendous job in 2010, despite the headwinds they faced with a tough economy” said Mac McMath, National Sales Manager, BMW Motorrad USA. “While many dealers in the country struggled last year, BMW dealers remained committed to the job at hand and worked tirelessly to capture every sale they could”. According to McMath, BMW is anticipating another strong year in 2011 as supply improves to meet continued demand for the S 1000 RR and as the new six-cylinder touring bikes make their debut. “The new K 1600 GT and K 1600 GTL (see the webBikeWorld report and first live photos and video taken by webBikeWorld at the 2010 EICMA show) should give motorcyclists a compelling reason to head down to their local BMW dealer this spring” McMath added.